If you’ve ever attempted a Bundt cake before, you’ll know that it is often not an easy feat. However, using the Mondo Bakeware Bundt tin was sure worth it. The pay-off from the incredibly gorgeous cake that ensued was worthy of a Sunday baking session. I chose the pairing of zingy orange with tart and sharp rhubarb to create a punchy, flavoursome cake. Glazing the cake with a lemon icing and garnishing with rhubarb twists was a well laid plan that resulted in a moist, sweet and delicious afternoon treat. Working with Mondo bakeware, the non-stick coating of the Bundt tin saw the ring shaped cake slide easily out of its volume creating mould. 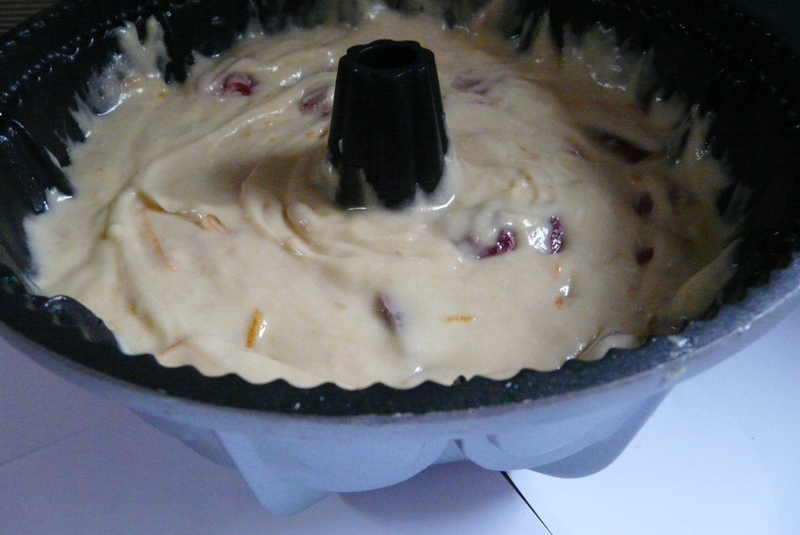 In an electric mixer, cream the butter, sugar and orange zest until fluffy. Whist mixing, add in the eggs and a splash of vanilla extract. Afterwards, slowly mix in the self-raising flour with a pinch of salt and add the milk. 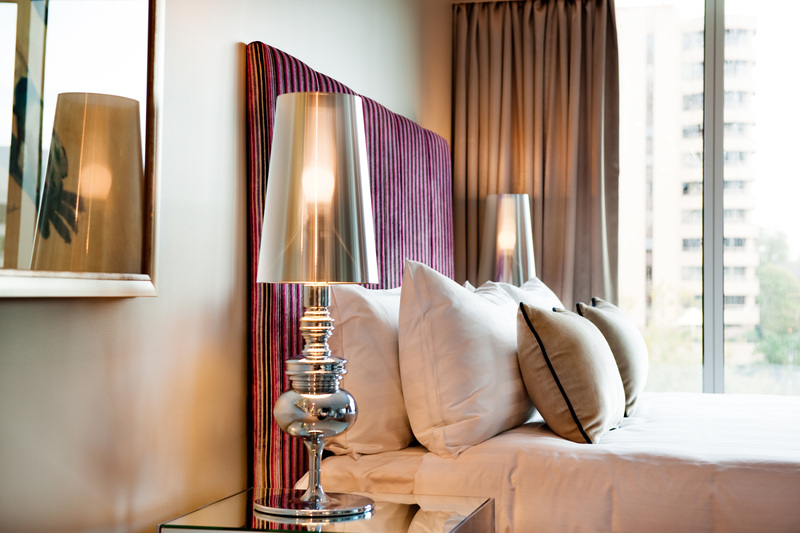 Throw the rhubarb into a pot on the stovetop with a squeeze of orange juice, to soften the pieces and release some of the gorgeous purple colour. The smell of the rhubarb flavour is just a tease of what is to come. Let the rhubarb cool down, then combine through the cake batter. Bake for 50 minutes or until cooked through. Make sure the cake has lots of room in the oven. To see if the cake is done, test with a cake skewer. Here’s the exciting part, inverting the cake! 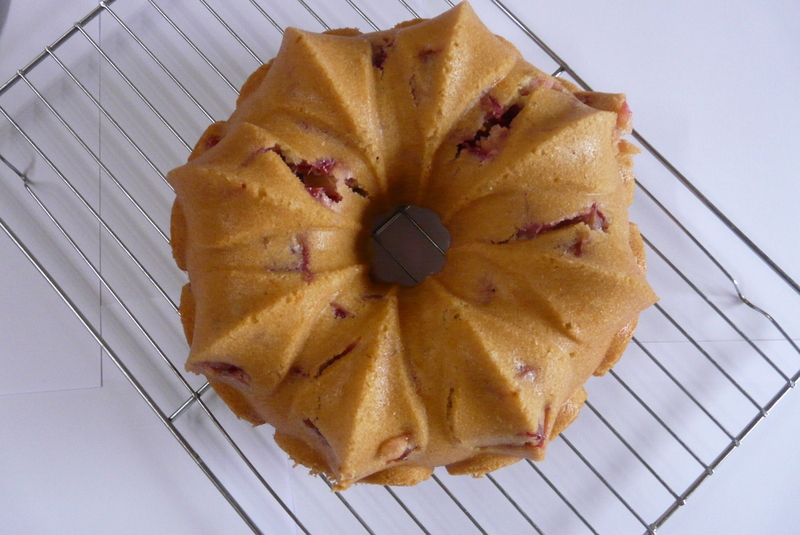 Use a wire rack to tip the Bundt tin and let the cake slid out of the non-stick bakeware. As the cake is cooling on the rack, you are left to admire its wondrous shape as the sneaky pieces of rhubarb poke out of the cake, waiting to be devoured. 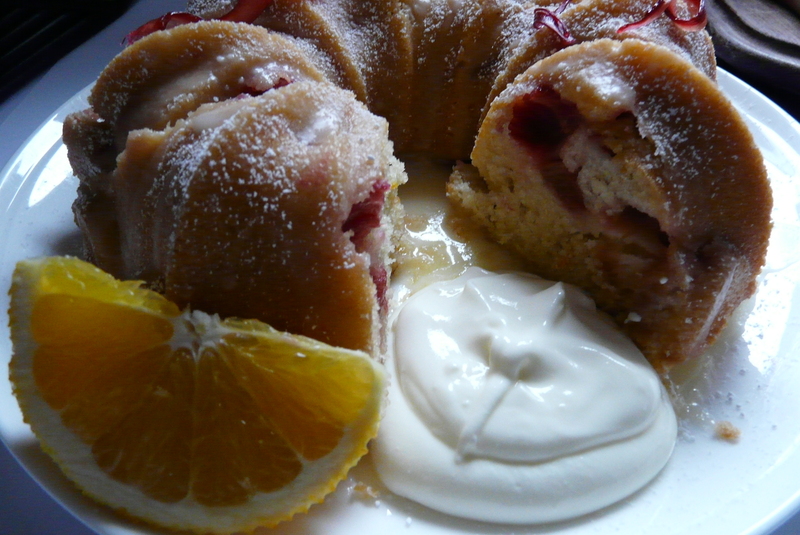 The rhubarb twists were a shiny, ruby red colour, like little candied jewels on top of the cake. 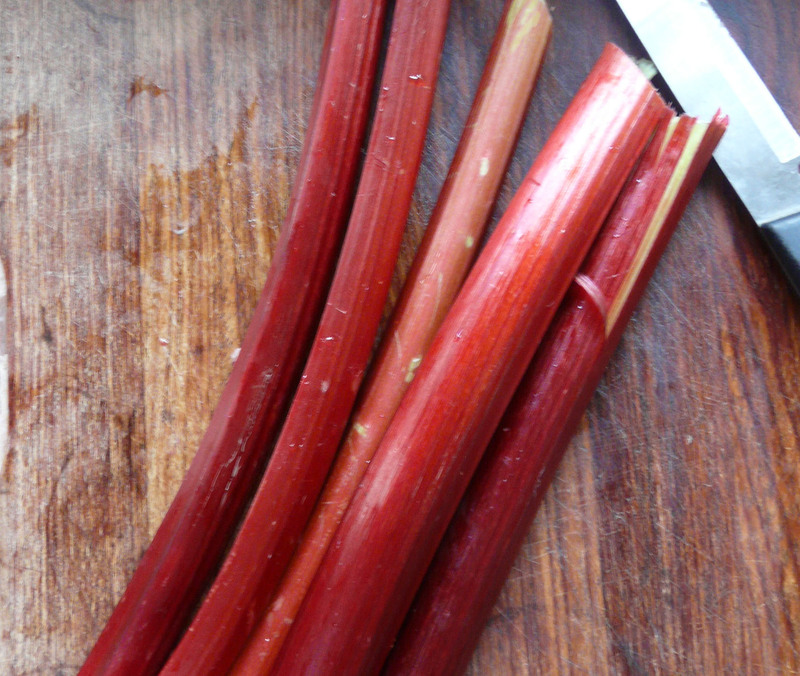 To make the garnish, peel or cut thin strips of rhubarb that will be easy to twist. Bring ½ cup of caster sugar and ½ cup of water to the boil on the stovetop, once the sugar mixture is bubbling, add the strips of rhubarb to ensure they are coated. Pull them out of the mixture and spread out on a baking tray (I used the Mondo bakeware non-stick baking sheet). Put the tray of rhubarb strips into the oven for around 10 – 15 minutes. Remove them from the oven and while the rhubarb is still warm and drying, mould the rhubarb around a thick skewer to create a twisted shape. To glaze your freshly-baked Bundt cake, combine around 1/3 cup lemon juice and1 cup of icing sugar depending on how thick you desire your glaze to be. Alternatively, if you’d like to get creative with your rhubarb, opt for a compote or rhubarb sauce instead of the icing glaze, this will be a strong, tarty flavour to compliment your cake. Using a natural yoghurt cut through the sweetness of the glazed cake. To make the yoghurt side, mix some natural Greek yoghurt with sugar and lemon juice.